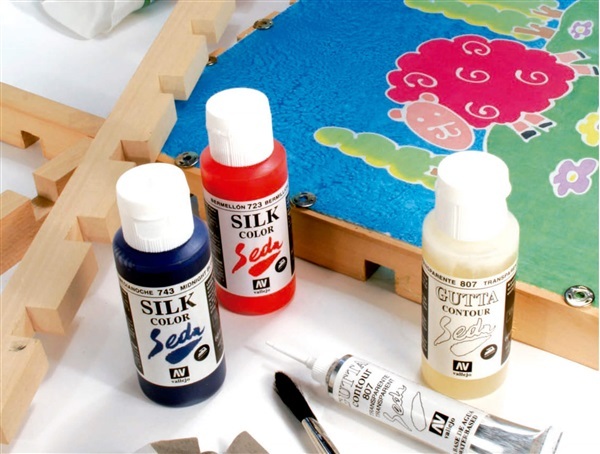 Brilliant and permanent waterbased colors for silk painting, easy to use, iron-fixable. 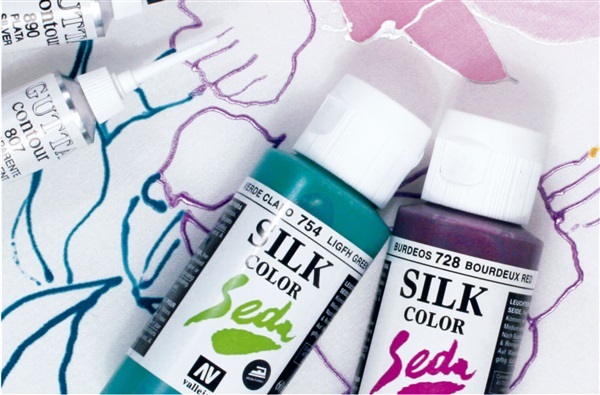 Silk Color has been developed with the most brilliant permanent pigments and a new easy flow acrylic resin formulated for delicate fibres. 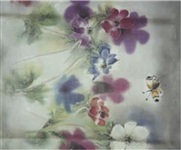 Colours apply evenly and smoothly, and are fixed by ironing. All colours can be mixed with one another, or diluted with water. The range contains No-Flow Medium (Ref. 780) and Flow Improver (Ref. 779), as well as a complete assortment of Guttas, see below. 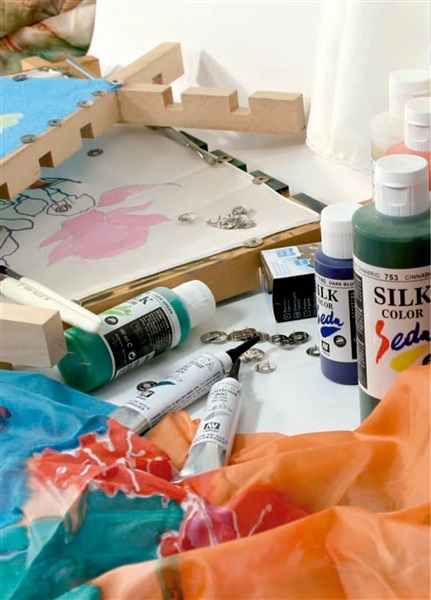 Silk Color is suitable for all techniques: brush, roller, airbrush, sponge, batik, etc. 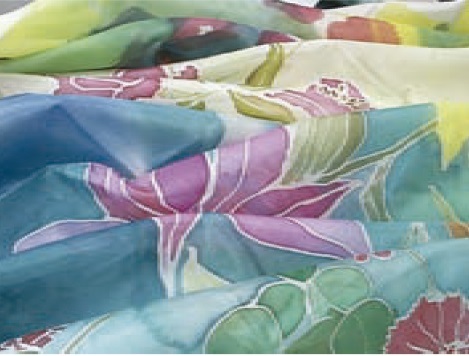 Although it is formulated especially for silk fabrics, some artists also use it on textiles, especially muslin and other thin cottons, whereas Textile Color can be used sparingly for accents and stencil techniques on silk.. Silk Color is not hazardous to users' health or to the environment if employed in a normal manner.